On Sunday we had my parents and aunt come to lunch to celebrate my aunt’s birthday. 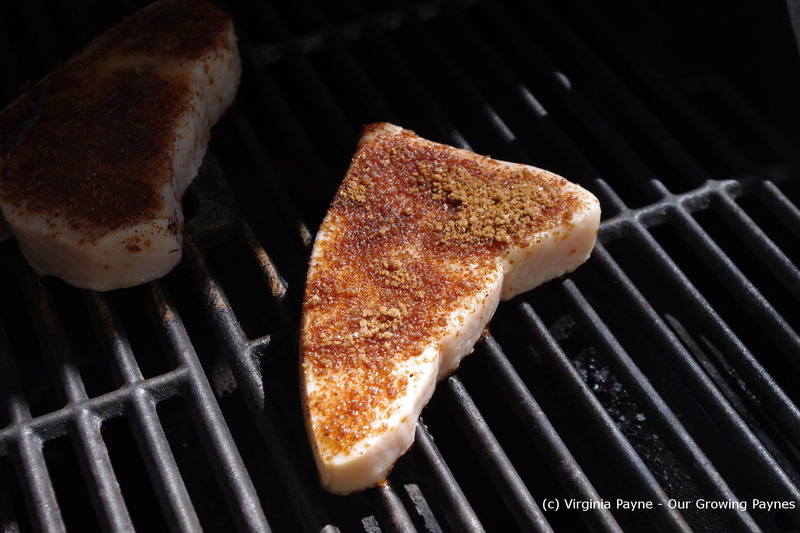 I had bought two swordfish steaks and was going to do it the regular old way on the grill. That is until I took a break and starting randomly searching blogs. 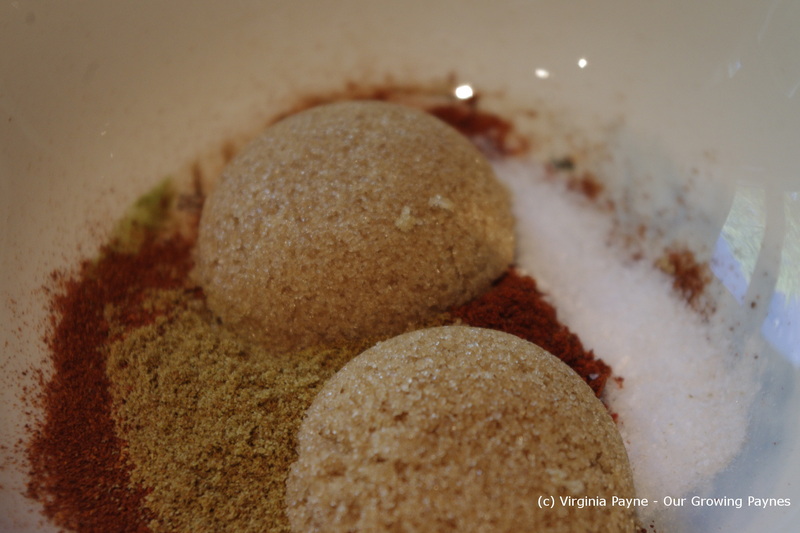 I came across this recipe from Sabor for swordfish with a bit of chilli and cumin. It looked amazing so I changed course and tried this out. It was a hit! I completely forgot the olive oil and to be honest didn’t even miss it. I do think the next time I make this I will lessen the amounts above because I had quite a bit left over. We’ll see as the steaks don’t come in uniform sizes. I grilled it 5 minutes on each side at medium high heat and it was perfection. I will definitely try this again and maybe try it on chicken as Rich doesn’t like seafood. This entry was posted in recipes and tagged chili powder, chilli, cooking, cumin, dinner, food, grilling, kitchen gardens, paprika, swordfish, swordfish steaks. Bookmark the permalink. Glad to have the recipe because your Dad raved about it and would like me to do it for him. Very tender and moist, too. I’m glad you guys liked it. It’s a very healthy meal and extremely easy to make. I was so glad I found the recipe. I have been in a bit of a rut when it comes to swordfish. Yum, thanks for the recipe. This is similar to what I had at a restaurant once and it was so melt in the mouth good. Brown sugar and swordfish. I don’t think I would ever have though to try it! Looks great though. I definitely use brown sugar for pork and beef though. Does it caramelize the same way on fish? It caramelized a bit, I haven’t tried it on pork or beef yet to compare.